The parents of a "one-of-a-kind" toddler who died as a result of an undiagnosed hole in her heart have said they think their daughter would still be alive if specialised services were more widely available in Ireland. James and Deirdre Keogh were devastated when their beloved only daughter Aimee died suddenly from the heart condition in July 2014. Aimee (2), who was from Glenbrook, Old Singland Road in Limerick City, was originally admitted to hospital in March 2014 for febrile convulsions caused by tonsillitis. Consultant radiologist Padraig O'Brien said that after reading her X-ray, he was suspicious of a septal defect - a hole between the chambers of the heart. 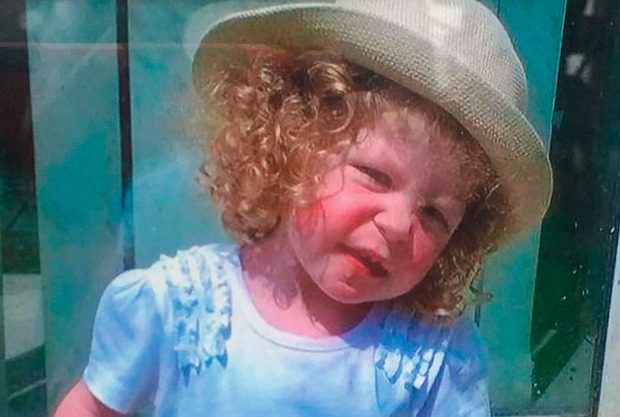 However, Aimee was not referred on to a paediatric cardiologist and further negligence occurred when a paediatric neurologist and a treating paediatrician failed to review or recognise abnormalities presented in the X-ray, the Keogh family claimed. With her heart condition undiagnosed she suffered 17 seizures before she was admitted to Limerick Hospital on July 9, she was due to have a cardiac procedure carried out at Our Lady's Hospital for Children, Crumlin on July 10 but she tragically died in the ambulance en route. Aimee's father James is calling for a paediatrician who is specialised in cardiology to be made available in every Irish hospital, in the hope this will prevent further tragedies. he told Independent.ie: "It was tragic, we feel this could have been avoided but unfortunately it wasn't. "We live in 2018, not 1918, I don't see why all paediatric consultants should just be in Dublin, why can't we have those facilities in other hospitals? "Maybe then if a child came to hospital with similar symptoms to Aimee and a paediatric cardiologist was there, maybe we wouldn't be in this position that we are in now." His wife Deirdre, who he also has sons Ben (12) and Luke (8) with, paid tribute to Aimee and spoke candidly about how much joy she brought to those who knew her during her short life. She told Independent.ie: "Aimee was one-of-a-kind, there was nobody like her, she was just different. "Aimee made everyone smile, all my friends loved her and the neighbours loved her, she was a very outgoing child. "There are no words to describe her really, you couldn't meet anyone like her. "The boys idolised their little sister and I know Lucas still finds it really hard without her." An inquest into the toddler's death heard her case was never reviewed by a paediatric cardiologist, but paediatric consultant Annemarie Murphy, who was in charge of Aimee's case, said she found the X-ray to be normal and a multi-disciplinary team who reviewed the same X-ray over three weeks later also found it to be normal. At the time there were no paediatric cardiologists based outside Crumlin and children could have to wait up to two years to be seen. Following civil action, the HSE apologised to the Keoghs in Limerick Circuit Court on Tuesday and were ordered by Judge Eugene O'Kelly to pay them €40,000 compensation. James said that he feels his family was let down by our health system. "I do feel we were let down, the HSE giving us an unreserved apology says it all, in my eyes they are taking 100 per cent of the blame for what happened. "I haven't heard from the HSE since court but I do hope they take note of what we have said. "I think somebody needs to look at it from the onslaught and decide maybe these services need to be introduced in other hospitals," he explained. Deirdre also thanked everyone who suffered her family during their ordeal. She said: "We are very family-orientated and we do everything we can for our kids, it's just so hard to lose a child. "We want to highlight that our legal team are amazing, we couldn't have done this without them, Frances and Jerry Twomey - we couldn't have got this far without them. "Our family, friends, neighbours and work colleagues have all been fantastic through it all." Independent.ie has contacted the HSE for comment but have not yet received a reply. On behalf of the Health Service Executive we wish to apologise unreservedly to you and your family for the hurt, stress and upset on the tragic death of your baby daughter Aimee. Regrettably, our investigation has shown that aspects of the care received by Aimee at the University Hospital Limerick did not reach the standards that could be expected. Noreen Spillane, Chief Operations Officer, UL Hospitals.